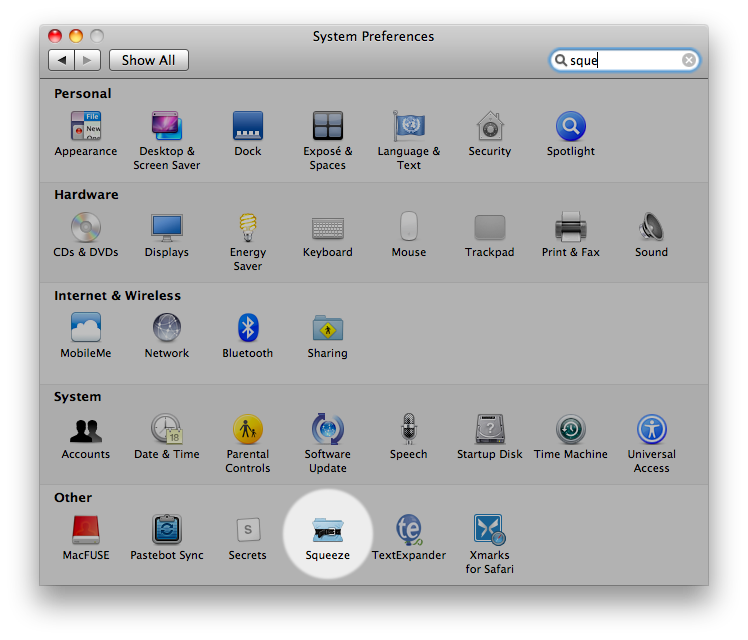 Everybody knows that Mac OS X doesn't require a lot of manteinaince: actually, some people will even tell you that Mac OS doesn't need mantenaince at all, if you ask. Still, there are some tasks and practices you should perform on a regular schedule in order to keep your Mac healthy and fast: CleanMyMac and Onyx are two excellent examples of apps that could come in handy when "cleaning" your Mac. Usually, the most importamt thing to consider is saving space by deleting old files, caches, unused logs and binary files. They can eat tons of GBs on your hard drive, and you won't even notice it. Squeeze, released tonight with the new MacHeist bundle, is a new application from Latenitesoft that promises to silently save space on your Mac in the background, by squeezing the last megabyte out of the folders you like to keep track of. And it works surprisingly well. 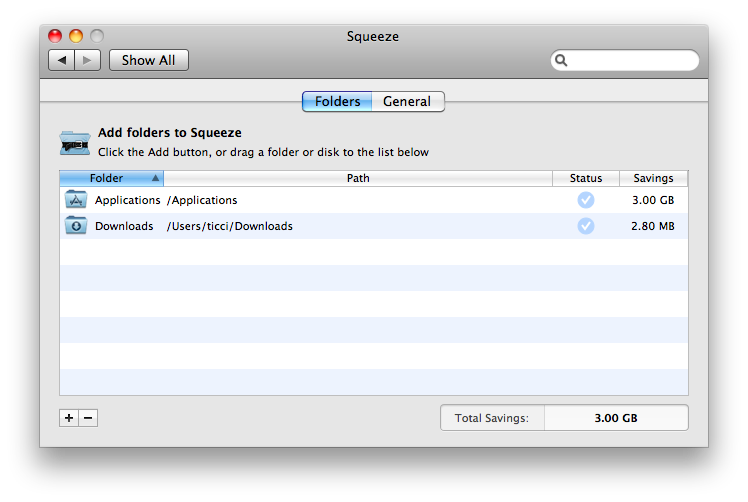 Squeeze is not an application: once you've downloaded here from either the official website or the MacHesit bundle, you'll have to install it as a prefpane in the System Preferences. Squeeze is very simple and straightforward: basically, it can keep track of some selected folders and compress them without visible differences to the user, but saving space in the background. It uses the latest HFS-comrpession technology built in Snow Leopard to compress all the files within a folder you choose to be processed. After the compression process, Mac OS will read the file again just fine - maybe even faster sometimes. It sounds like magic, and far as I can tell - it is. As you can see from the screenshots, I've been able to save a few MBs in my /Downloads folder (doesn't contain to much stuff) and more than 2 GBs in the /Applications folder. Great. There's something magical when an application is this simple and works like Squeeze does. Minimal effort, great results. You can grab a free copy of Squeeze here. You should hurry up and go download it.